There is a long history behind portraits starting before cameras were even invented. 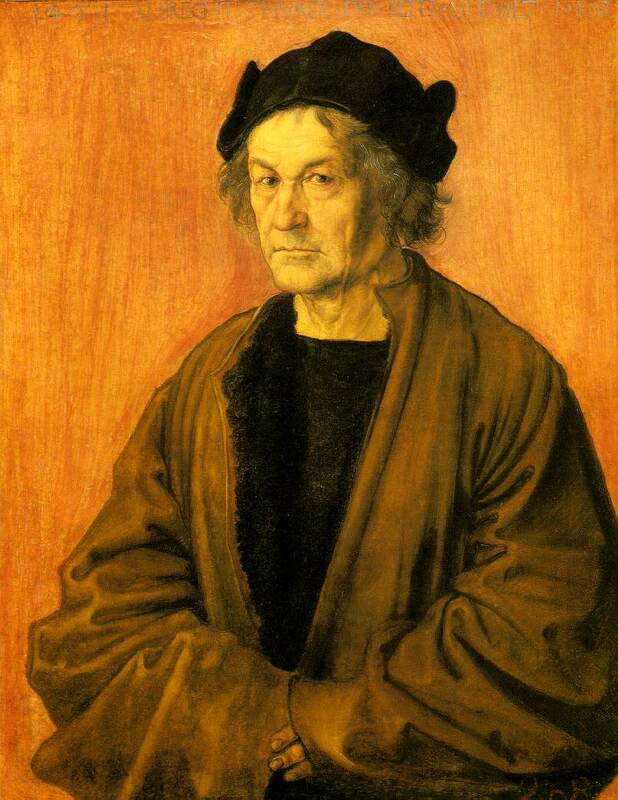 The painting below is by Albrecht Durer (1471-1528). Can you see similarities in the painting compared with photograph of Alex on the right? Both show a traditional pose with the subject's shoulders angled and face in the top third of the frame. Portrait Tips: Use the wide angle and tele-photo "zoom" features of your camera. Camera lens set to telephoto mode produces a flat, compressed face. Don't take this to the extreme and you'll find it flattering for most portrait shots. Camera lens set to wide-angle mode produces a distorted view. This is usually not used for portraits but can be used to produce interesting results. This portrait of Sean used an extreme wide-angle lens. The computer lab setting becomes part of the portrait. Including the background to say something about the subject is typical of an environmental portrait. Lighting is another important factor in portraits. Three of the photographs used soft, diffused lighting and one used lighting in a more aggressive way. Experiment with light in your portraits. Diffused light comes from all directions. You'll find this when your subject is in a shaded area or outside on an overcast day. The image of Slater (at right) used harsh light from a single source to help define the image.